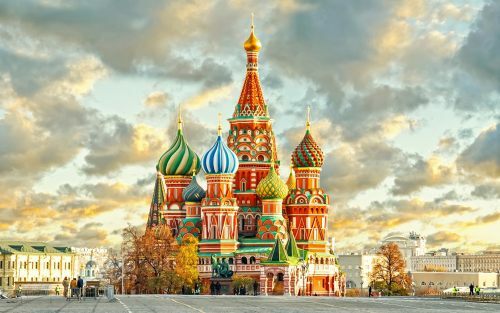 Seattle is showing some incredibly cheap flights to Moscow and St. Petersburg, Russia at the moment. 2. Click on the departure date box to open up the calendar view and browse other dates. and it should display the same flight in $CAD. ALSO NOTE: A tourist visa is required to visit Russia. flight deals, seattle, sea, eurasia, moscow, russia, svo, united airlines, mow, dme, saint petersburg and led. 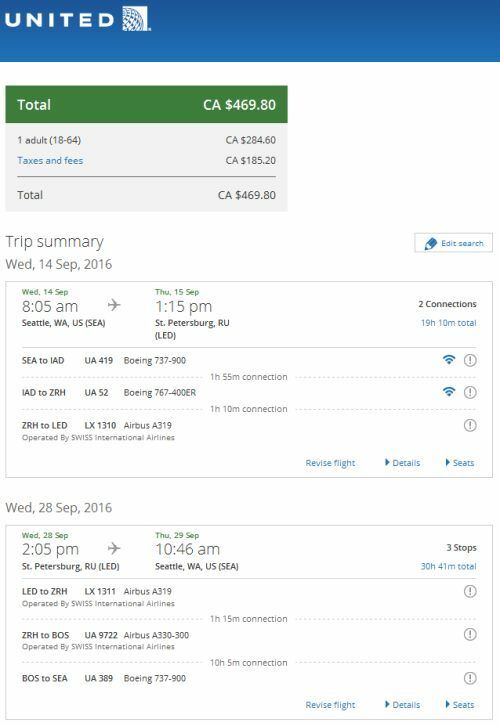 6 Responses to "Seattle to Moscow or St. Petersburg, Russia - $469 CAD roundtrip including taxes"
The issue would be be coming home. There's certainly nothing stopping a person from exiting the airport once you get to France, but all airlines usually cancel the remaining legs on your ticket once you intentionally miss a flight. Thank you! Got 2 tickets for 950 round trip! Congrats Ivan! Have a great trip. Thank you so much for the tip! I booked 2 tickets with Lufthansa for US$765. Departing from Seattle to St. Petersburg. Returning from Moscow to Seattle, with a stopover in Vancouver. That save a bus trip coming back to Vancouver. Great deal. It's the first time I take advantage of your deal alert. I told my friends about your website whenever the topic of traveling comes up. Thanks again!